The US Copyright Office for months have been working behind the scenes to codify new rules for group registrations of photographs, and they were released last week. In short, they are bad news for photographers, with very little good news. For almost a decade, we have been registering, monthly, several thousand of our images in a single registration, for one registration fee. Some times, these were less than a thousand, and sometimes they were more than 5,000 images. In less than a month, the limit is going to be 750 images, TOTAL, on a single registration. This means that a group registration of 5,500 images that I could previously register for $55 using the online eCO, will now cost me $520, or almost a ten-fold increase. (Source: Library of Congress fees). It is disturbing that there is little extra cost (that is, a few additional sheets of certificate paper) for a 5,500 image registration than for a 750 image registration, so it makes no sense as to why this change has occurred. While the new rules are the same for both a group registration of published photographs (GRPPH) and a group of unpublished photographs (GRUPH), this doesn't alleviate how much more work it is going to be for photographers, and how much more expensive it is. While this is easily automatable, it is an additional steps that adds to the hassle. "A group of published photographs by John Harrington"
On the plus side, the Copyright Office has specified that now it is no longer a question as to whether or not the individual images registered as a part of a group registration are covered individually or not, they are now. So if someone were to say you were entitled to only a single statutory award of up to $150,000 if someone infringes on 5 images that all were in a single registration, your maximum statutory award would be $150k x 5, or $750,000. Whereas now, That argument now is supposedly laid to rest. That is, until a court case challenges it. Another significant improvement to the regulations is that the photographers who use assistants or other photographers to work under them on a work-made-for-hire basis can now register multiple photographers all on the same registration for one fee, provided that the legal author of all the photographs is the same, as it is when second shooters work on a work-made-for-hire basis (with the necessary contract signed beforehand). Previously one would have to file a separate registration for photographs made by each additional photographer even if they were working on a WMFH basis. After soliciting comments in late 2016, the U.S. 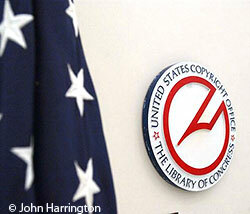 Copyright Office adopted a final rule, effective February 20, 2018, governing group registration of photographs. The final rule modifies the procedure for registering groups of published photographs (GRPPH), and establishes a similar procedure for registering groups of unpublished photographs (GRUPH). The final rule adopts a new requirement that applicants seeking copyright registrations for groups of photographs—both published and unpublished—must generally submit applications through the Office’s electronic registration system, and can include up to 750 photographs in each claim. The final rule also modifies the deposit requirement by requiring applicants to submit their contributions in a digital format and to upload those files through the electronic system; clarifies the eligibility requirements; and confirms that a group registration issued under GRPHH or GRUPH covers each photograph in the group, each photograph is registered as a separate work, and the group as a whole is not considered a compilation or a collective work. For all the details, visit this link here at the eCO. So if you're behind on your registrations, be sure to get them all done before 2/19/2018, as these changes go into effect on February 20th, 2018. Have an idea you'd like me to write about? A question answered? Topic Covered? let's see what you're interested in.